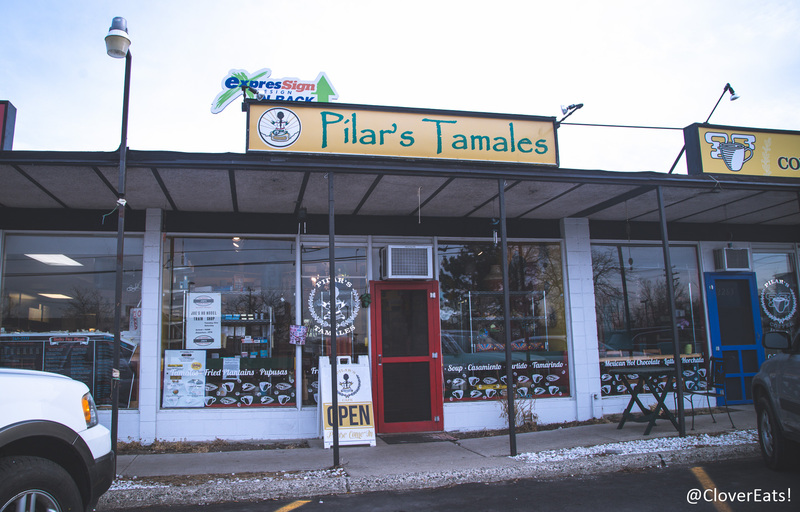 CloverEats: Pilar’s Tamales in Ann Arbor | Clover Eats! Pilar’s Tamales was high on my list of places to eat before leaving AA. We didn’t realize they closed at 7, and so stopped by at 6:55. Whoops and sorry! However, Sylvia, the owner, welcomed us and said she was ‘happy to feed [us]’! She was so nice and friendly, even though we showed up right before closing! The restaurant is full of interesting things! 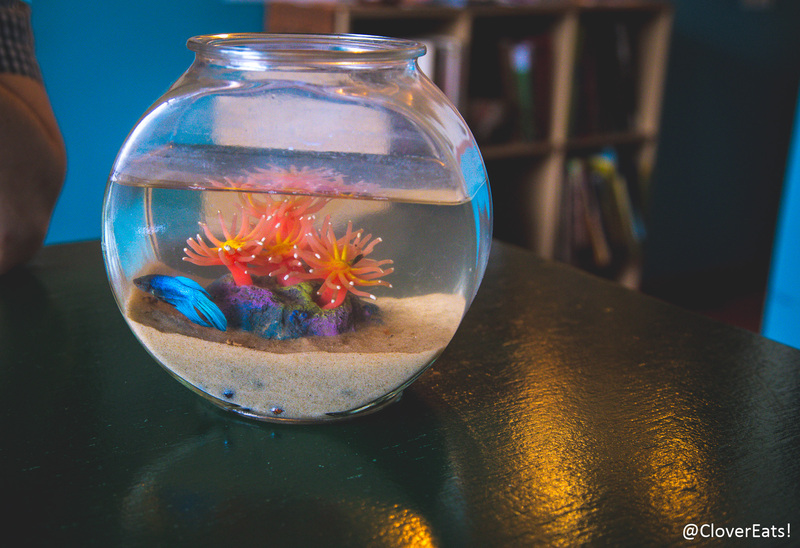 And there are fishbowls at the tables, with real fish! 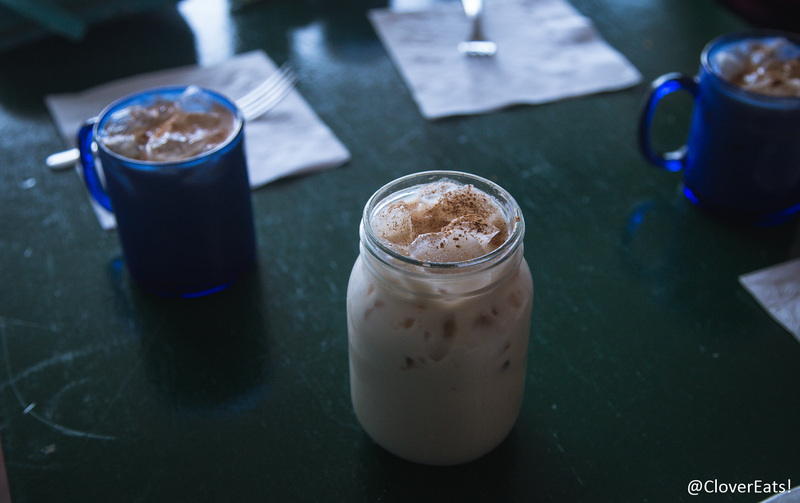 Of course we had to try their horchata, which I’m happy to say was cool and refreshing! The larger size is quite a bit bigger than the smaller one, and only a little bit more expensive; I definitely recommend upgrading! 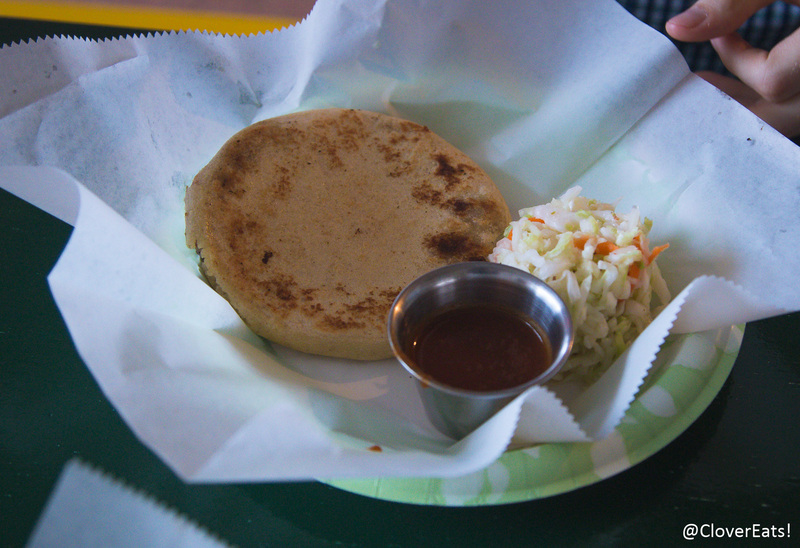 To be honest, I didn’t know what a pupusa was before coming to Pilar’s. It’s basically a corn-based grilled tortilla, but so much more amazing. The texture is much thicker than you’d expect from hearing its description, and it comes with a great ‘red sauce’ that is complex and full of flavors. I really enjoyed the curtido, the cabbage slaw made with apple cider vinegar. This was totally my kind of side – refreshingly sour, crunchy. 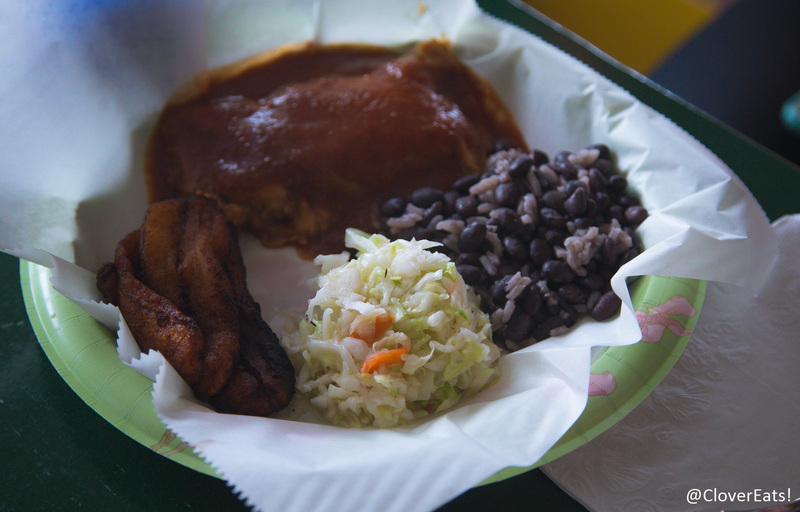 You can get a Special version of the offered pupusas and tamales, which makes it into a plate with plantains, beans, curtido, and a drink. Perfect! 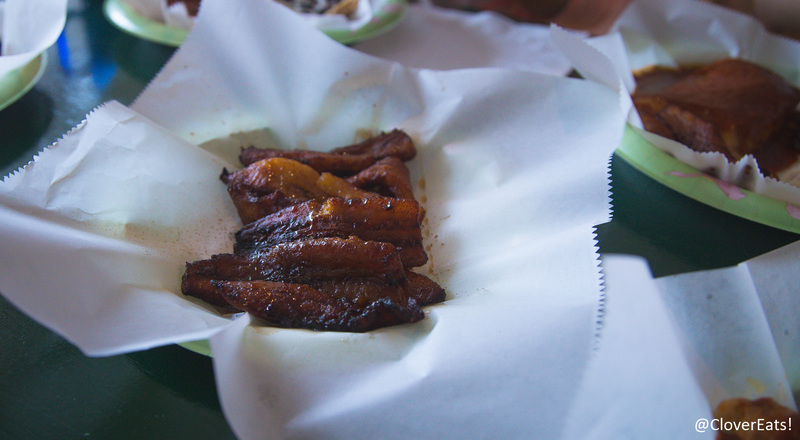 Of course, I got an extra side of plantains. They were amazing. 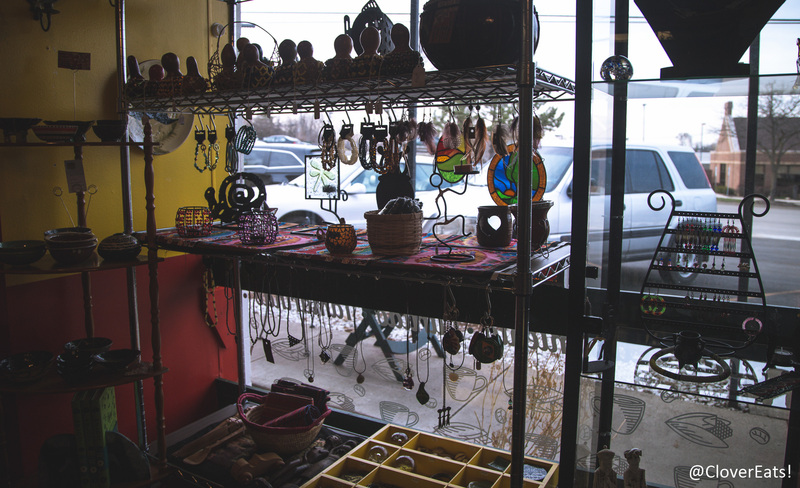 It’s sad that it took me so long to discover Pilar’s, because I want to go back many times before leaving! 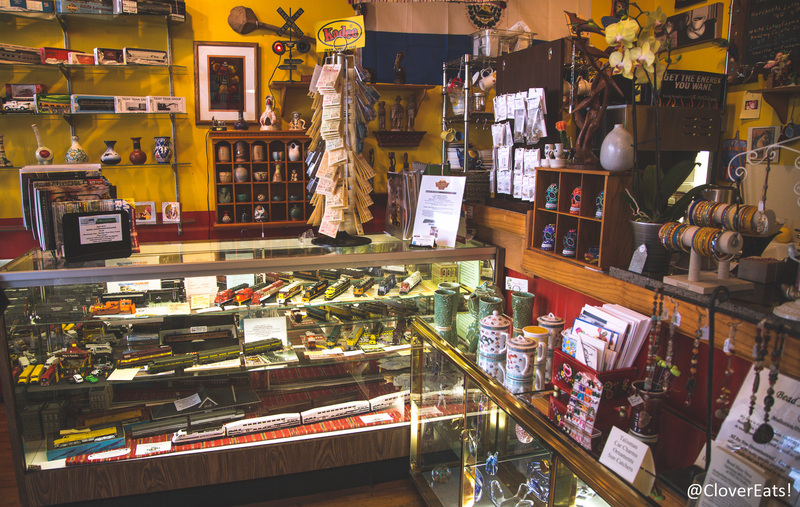 They’re out on the west side of town if you follow Liberty St. Definitely check them out on Yelp or at their website! 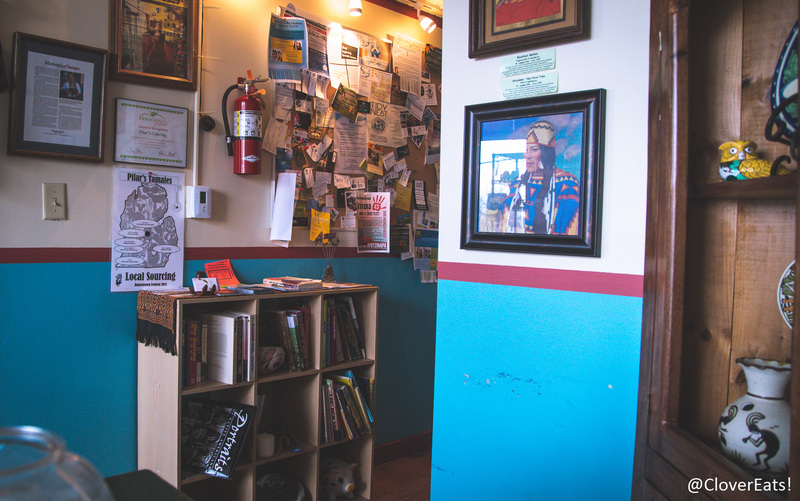 I really liked the texture of the tamales and pupusas. Also, all the sides were great.